This is my first time living in Lithuania and I didn't really know much about the country when the opportunity to play here first came up, but it's been pretty cool – aside from the weather! When Rytas first approached me, I did a little research on the city of Vilnius and quickly realized this was a place I could live. My agent had been here before a couple of times and he told me a lot about the city. 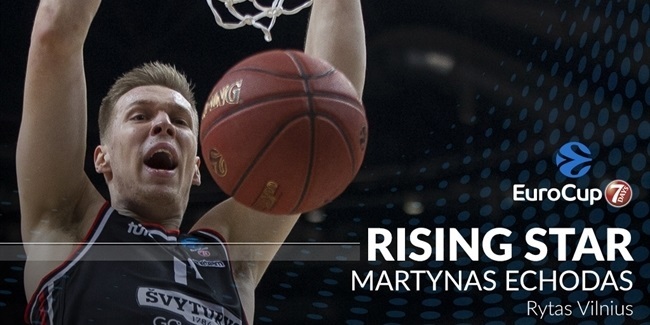 I did not know anyone at Rytas when I signed. It was all fresh for me. But I know that D.J. Seeley was waiting to see who the team signed and after they signed me, he was like cool, and he signed too. We played against each other last season in the EuroCup. when he was at Gran Canaria and I was at Trento and we respected each other. He knew me and my game, so when he came I was happy. "We won't be giving away wins to any team." Our GM is a former NBA and EuroLeague player, Linas Kleiza. He pops around and we see him now and again. He's pretty involved and watches practice from time to time. As a former player, he knows about the ups and downs during a season. Every team goes through some adversity, so when we found ourselves in some adversity, he came and gave us a talk. It's good to have a GM that understands these things. This week we have a tough game against UNICS Kazan. They are the best team in our group right now. They have a lot of players I know, a few guys I've played with. They are a tough team and they can go pretty far. If you ask me, I think they are the favorite to win the whole thing. They are a deep, deep team. It's not going to be easy, but we have to go out and compete and play the game. We won't be giving away wins to any team. We are at our best when we get out and run. I think we're a pretty tough team to match up with. We can do a lot of different things when we put it all together for 40 minutes. There have been a few games where we've been up by 10-plus points and we couldn't sustain that lead. 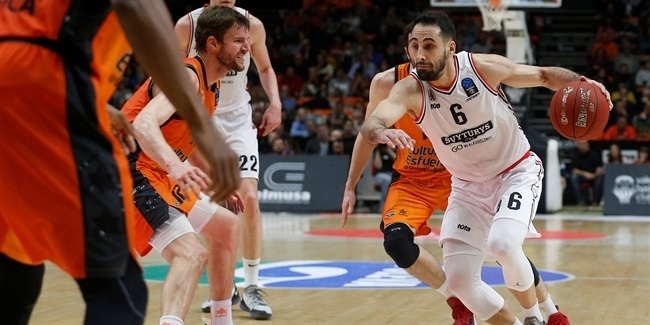 "I don't think there is anyone in the EuroCup – or anywhere in Europe – who can guard me." Chris Kramer is a very important piece for our team and it's been tough for us with him hurt. He's the point guard and he runs the show. He's a big guard and his defense, tenacity and grit are what we need at the guard position. He's what we've been missing when we are playing against good teams with good guards. That's where our troubles have been. Without Chris, it's been a struggle, it's been up and down. Hopefully, we get him back in the next few weeks and can make a run in the EuroCup. 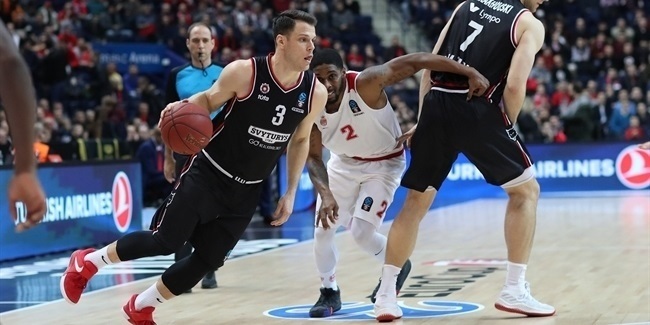 Every team scouts and every team knows what we can do, but I don't think there is anyone in the EuroCup – or anywhere in Europe – who can guard me; that's just my opinion. I try to go into games with a plan how to attack the guys who are going to guard me, but it's so tough in that sense, because playing power forward at times, in this system, I am sometimes in weird situations. I am a versatile player and I know that I can score in an iso [isolation] or coming off a pick-and-roll, but at the same time, everybody scouts and they know they can't guard me one-on-one in the post. So 85% of the time, I'm getting double teams in the post. It doesn't matter if the defender is 6'5" or seven feet, he can't guard me in the post, so I get double teamed. It's kind of tough and going into the game, I just have to adjust to how they are guarding me in the moment and take what they give me, whether that's an open jump shot or shooting threes. The fans here are very engaged and that will help us. When we are on the road, they come and support us. They are very supportive of the team through the good and the bad. They are pretty dope. That's it for now... Until next time EuroCup fans!